IMG designs and manufactures Electrical Equipment and Accessories for industrial clients in various industries such as Open-pit Mining, Underground Mining, Oil & Gas, Tunelling / Micro-tunelling, Power & Utility and General Industry. Products by IMG range from trailing cable accessories, cable couplers, switchgear, control centers up to large mobile/portable substations. All products are manufactured to customers requiement and specifications. 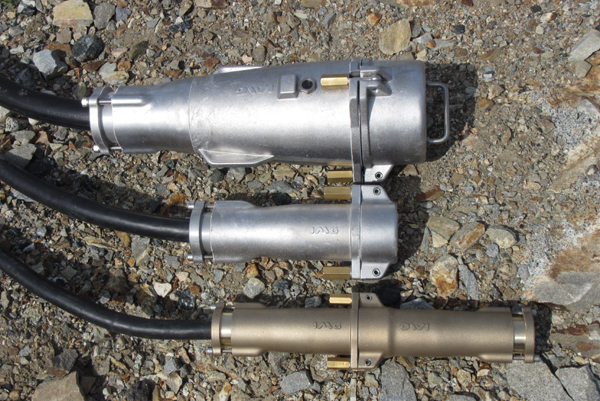 This Cable Coupler System has been designed to exceed current market standards and options. Three important aspects to Cable Coupler functionality have been taken into consideration during the design stage - compatibility, durability and safety. Cable Couplers consist of a substantial investment of any operation andtherefore when considering alternatives to an existing system, compatibility is a positive, cost-effective aspect. Durability is also a key to coupler design, as couplers such as the IMG Eye-Bolt Range are typically used in harsh environments such as mining & tunelling. Several features have been implemented into the IMG Coupler design that make these products resistant to damage from moisture and dirt. Safety, being the most important key to any industrial equipment, has been the highest focus whilst designing the IMG Cable Coupler System. IMG designers have implemented many new and propiatery features that provide site personnel additional indications and levels of safety in the field whilst using this equipment. To complement our line of medium voltage Cable Coupler Systems, IMG manufactures and supplies various Trailing Cable Accessories to satisfy clients’ needs - such as accessories for cable handling, fitting, protection, securing & repair. 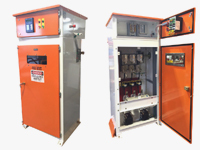 IMG manufactures various typies of Substations / Power Distribution Centers designed to fit clients specific needs and are available in Skid-Mount, Trailer-Mount or Compact styles. 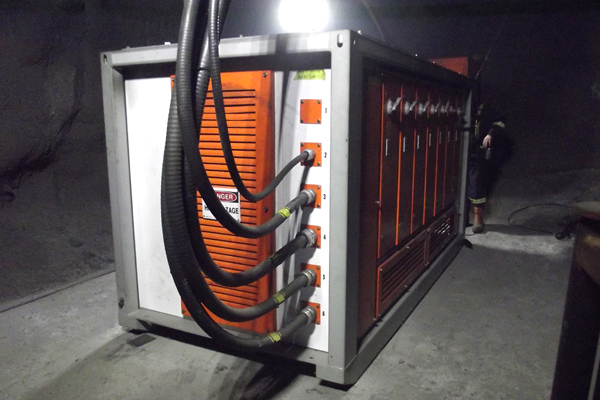 substations are typically used in open-pit sites where power distribution requirements change to adjust to site needs. 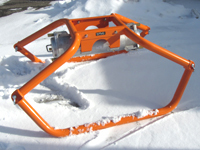 Mounted on a heavy-duty skid or trailer, allows site personel to easily tow or transport the units to different location as required. 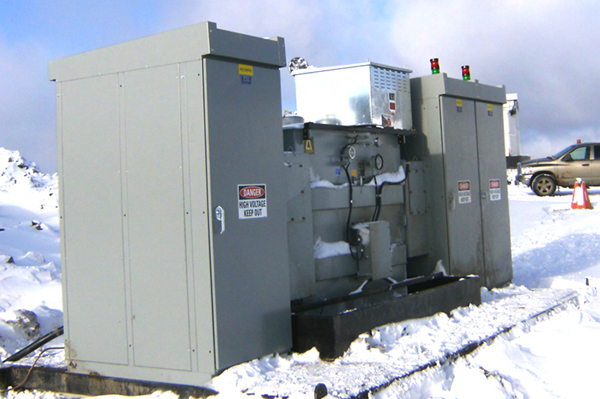 These units incorporate an Incoming Section, Outdoor-Style Transformer, and a Feeder Section that can accommodate several outgoers that feed different site equipment. IMG specializes in manufacturing Power Distribution Centers, otherwise known as Mine Load Centers, that are designed to fit clients' needs specific to underground site operations where space limitations and harsh environmental conditions demand unique solutions for equipment. 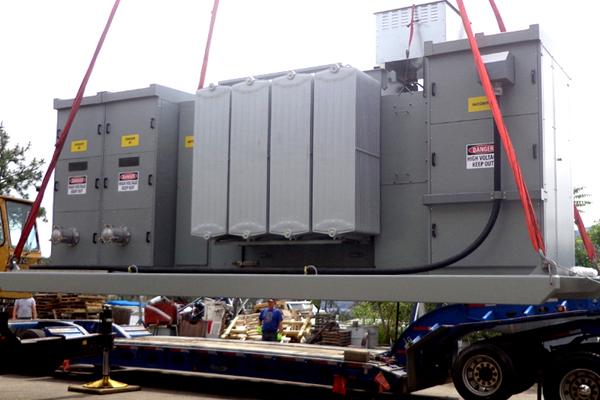 IMG Power Distribution Centers (PDC) are customizable - typically incorporating an Incoming Section, accordingly sized Transformer braced for heavy-duty, Control Section and Outgoing Section with required number and size of feeders to supply power to underground drills, fans, pumps, and such. These units can be fitted with the latest technology that allows complete control and operation of these from the safety of above-ground office. IMG Medium voltage and Low voltage Motor Control Centers (MCC) and Pump Control Centers (PCC) are designed fit specific applications. MCC & PCC are used in various industries such as mining, oil & gas, utility, and other industrial manufacturing and processing sectors. Either can be fitted in existing buildings or can come preassembled in modular, turn-key units ready to be set in place. All units are manufactured to highest industry standards to meet or exceed quality, ease of maintenace, and most importantly safety. Units are available with various design features and protection equipment that reduces the risks of operator injuries due to electrical shock. Features include Arc Flash metering & protection, visual indicators, and physical barriers that protect against damage to equipment and personelle. Capacitor banks are typically used to correct or counteract undesirable electrical characteristics and improve power factor and they can also be used to store energy in order to correct voltage levels of the electrical distribution system. Capacitor allow for cost efficiency of power consumption and efficiency and operation of equipment such as motors, pumps and such. Units can be stand-alone, skid or trailer-mounted and of modular-type – indoor/outdoor. Typically they are equipped with capacitors, high voltage breakers, disconnect switches, voltage transformers, control panel and control/monitoring relays. Capacitors can be fixed and/or switched to provide optimal use by operations. All equipment used is up to date with current technology standards, including remote operation and monitoring. 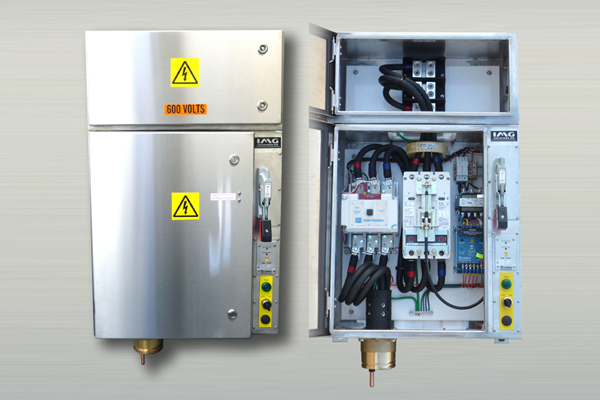 Switchgear is typically used in a power distribution system to control, protect, and isolate electric equipment – used both to de-energize/isolate downstream equipment or clear faults, thus adding to the reliability of the power supply system. Typical components are disconnect switches, fuses or circuit breakers. 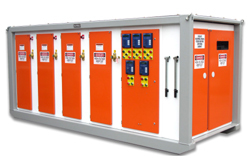 IMG supplies both stand-alone, metal-clad indoor and outdoor switchgear, as well as, walk-in switch houses that are typically skid-mounted for ease of transportation around site. IMG uses latest technology to provide highest operator and equipment protection. IMG supplies / manufactures various standard and custom junction boxes and electrical panels used for control, monitoring & protection in industrial operations. All units are housed in either indoor or outdoor type enclosures that can wall-mounted or stand-mounted. Depending on size requirements, JBs & other panels can also be attached to skids. As per client's request, panels or boxes can be manufactured from p/o steel and powder-coated with polyester paint for durability and visibility or, depending on the operations environment, units can be manufactured from stainless steel for maximum lifespan. Most IMG panels are designed to be modular, plug-in type design thus providing clients with the flexibility and efficiency of simple addition or exchange of panels as per each sites changing needs. This design reduces downtime and thus increases site's efficiency. IMG's main focus is the mining industry. With many years of experience in the field, we are able to provide clients electrical solutions for your open-pit operations. IMG's main focus is the mining industry. With many years of experience in the field, we are able to provide clients electrical solutions for their operations. IMG has developed various products that include latest technology to increase safety and efficiency while working in harsh underground environment, especially those that include explosion risks. The underground environment of Tunneling is not unlike the one of underground mining. 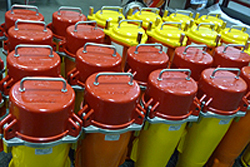 IMG products are designed to be compact to fit in minimal space and robust to withstand the harsh condition of underground operations. Pit & Quarry industry sites are similar to those of open-pit mining for ore. Electrical equipment is required to extract and transport materials around the site. IMG equipment is of industrial grade, designed to be robust yet sophisticated with todays technology in order to increase production and efficiency of operations. The Oil & Gas industry are also similar to industries such as surface mining. Most of the time, extraction sites are temporary and thus require portable electrical and control equipment to power and operate pumps and motors required for oil/gas extraction. IMG also manufactures various switcgear that is used in permanent processing facilities. All equipment is not only manufactured to be robust to withstand harsh environments, but is also designed with sophisticated control technology to increase production and efficiency of operations. This industry relies on quality, reliable equipment to supply power and energy services to various entities. All IMG equipment design & manufacturing standards meet and exceed all requirements. All IMG equipment is engineered, certified and tested. IMG supplies equipment to various other sectors of industry such as pulp mills, lumber yards, manufacturing facilities, and such. Electrical need for general industry include both electrical distribution as well as process controls. Contact us with your requirements and we will provide you with a solution.